Summary of this volume: Solar power is one of the most known renewable sources. The important goal in using solar energy systems is to reduce the production cost in order to compete it with the other sources. 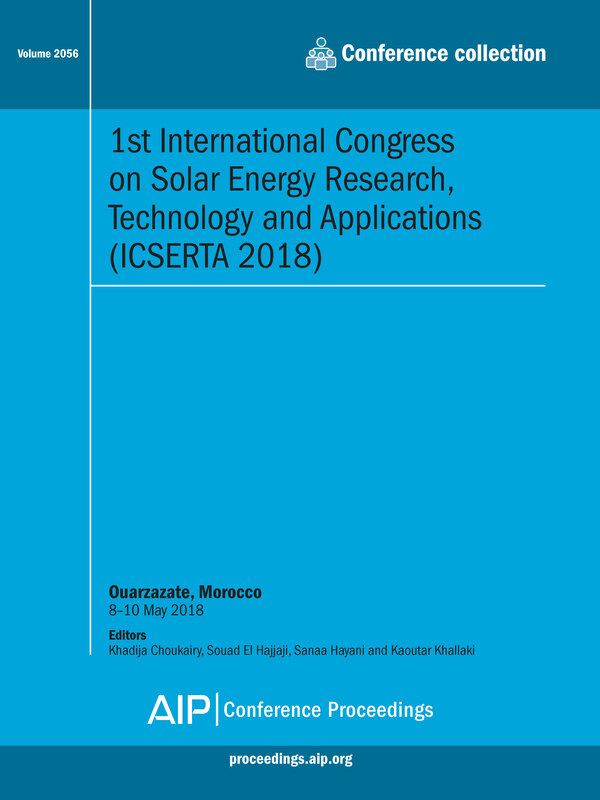 The 1st International Congress on Solar Energy Research, Technology and Applications (ICSERTA 2018) focuses on both Solar Photovoltaic and Solar Thermal Energy technology systems and applications. The conference provides the opportunity for researchers, engineers, technologists and individuals to share and discuss recent developments in the field. It is a particularly good opportunity for postgraduate students to showcase their research progress, network and develop knowledge of solar energy technologies. Specific topical areas include General Solar Energy; Solar Thermal Energy; Solar Photovoltaics; Solar Resource; Concentrating Solar Power; Industrial and Domestic Solar Heating. These proceedings will be of interest to: Graduate Students, PhDs and Postdocs. For further information about this volume: Please view the table of contents available on AIP Publishing's Scitation platform: Volume 2056 table of contents.